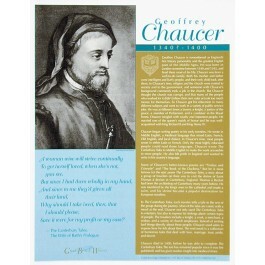 This poster focuses on the great 14th century British poet Geoffrey Chaucer, remembered as England's first literary personality and the greatest English poet of the Middle Ages. It is one of a series of ten posters of Great British Writers. 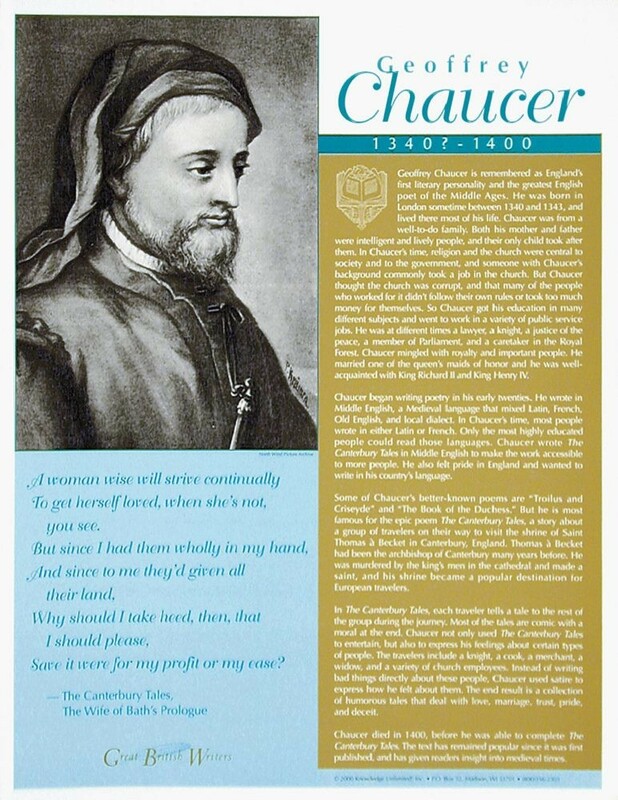 The poster includes an artistic depiction of Chaucer along with biographical text and a quote from his epic poem "The Canterbury Tales." The excerpt is from "The Wife of Bath's Prologue."